We'd like to keep you as a customer forever. And we also know that sometimes people need to cancel their service. 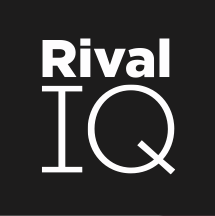 How do I cancel my monthly Rival IQ subscription? If you need to cancel your subscription, please use the subscription cancelation form on your Account Subscription page. Is there minimum commitment for monthly plans? There is no minimum commitment or term for monthly plans with Rival IQ. If you're unhappy with the service we're providing, you're free to cancel at any time. We think you'll be satisfied with our product, but if you aren't, we'll refund 100% of your current month's subscription fee. We won't question your reasons, but we will certainly ask you to share your thoughts so that we can improve in the future.